We’re excited to announce a new client search. Our bachelor is a masculine and self-aware Caucasian 28-year-old client standing 6’2”, with an athletic physique, short brown hair, beard, and a roguish smile. He keeps fit (and sane) with a daily morning workout at the local gym, but would much prefer to be outdoors tossing a football or exploring a new hiking trail. Usually found in a casual button-up and jeans—mostly to avoid spooking his startup clients—he still loves suiting up for a night on the town. Our client attended Caltech and Stanford for his undergrad and graduate degrees, and served as a published researcher in solar energy before switching to patent law. Now, he specializes in crafting patent portfolios for venture-backed startups. At the intersection of cutting edge technology and complex legal strategy, he loves the challenge his career provides. He is confident, charismatic, and highly intelligent, our client is a natural conversationalist. While he could talk on almost any subject, he is happiest discussing something that you both are excited about—and will often seek out such topics. Our client’s thoughtfulness lends him both intellectual and emotional depth, which he deftly balances with by a playful and witty sense of humor. He knows how to do his part in a great relationship and is ready to settle in with just the right partner. His best suited match is between the ages of 23-33 years old, physically fit, of any ethnic background, with classic features, expressive eyes, and feminine. She’s a girl-next door type who’s approachable, confident, smart, and is self-aware. Think IQ meets EQ, where her emotional intelligence has been honed over the years from self work and a desire to continually learn and grow as an individual. While she’s a driven professional, she has no problem letting the proverbial hair down and being silly at times. She welcomes adventures into her life, has a willingness to try new things, and while independent, welcomes the idea of shared activities with her dream guy. If you or anyone you know might be a match for this dream bachelor, please email our founder, Amy, at amy@linxdating.com and tell her a little bit about yourself including recent photos (no filters, hats, sunglasses, or other people in pictures). Thank you! Happy New Years and to a festive celebration wherever you might be in the world! We are so excited to kick off 2016 with gusto, passion, momentum, and what is appearing to be a very booked calendar ahead of appointments. 2015 was a spectacular year filled with so many exciting moments- lots of dynamic clients, many successfully paired couples, weddings, engagements, and babies born from Linx matches! One amazing VIP client in particular met his match in October and got engaged in November! He knew shortly after their first date she was the one for him. I thought I would share an email from a VIP client in LA that just landed in my inbox today. On that note, we have tons of new active searches that are up on the Linx site and will be continuing to add new ones to the website throughout January. For the females reading this, take a look here at some of our most desirable bachelors and for the single guys reading this, check out some of our most eligible bachelorettes here. Here’s to an incredible 2016 ahead and look forward to connecting with you all in person, through email or by phone. 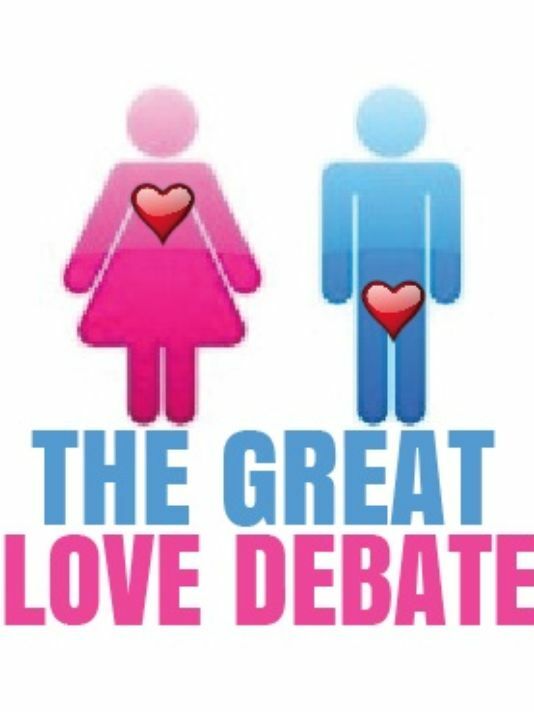 100 Silicon Valley bachelors and 100 local single ladies will come at us (and each other) with questions about dating, mating, and more in this Town Hall-style event on Friday, June 27th at 8:00pm at the Tabard Theatre in downtown San Jose. The tour has been described as “groundbreaking,” “brilliant,” and “hilarious,” and we would love for you to be part of it! The producers in parnership with Match.com have provided Linx with a special code of “LINX10” which is good for a $10 discount on admission. The event is expected to sell out quickly, and each ticket includes admission to the post-show “Meet, Greet, Mix, Mingle, & Match” party, where you’ll have the chance to get to know all of the other attendees as well as the panelists. With 200 eligible singles and 6 relationship experts all in the same room, we can almost guarantee that lightning will strike. You definitely do not want to miss out on this incredibly entertaining (and promise-filled) evening! 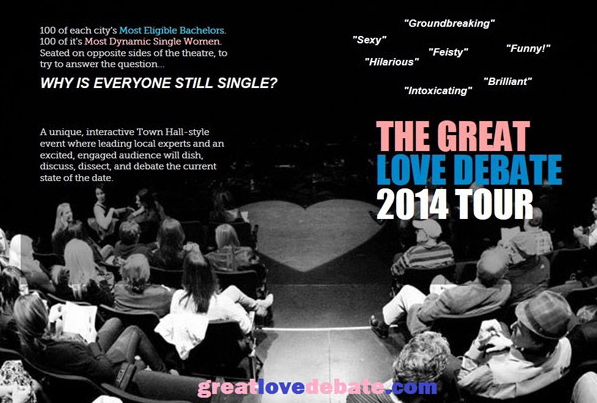 And check it out on Facebook to see who else might be going, and to get a head start on the debate. We hope you decide to be part of the fun, and would love to see you there in person!